Then the Prom. Then my employer’s Christmas Party. Then my friends’ weddings. Now, it’s my children’s birthday parties. I’m early on the life phase of birthday party planning responsibilities, meaning I’ve only done a few, having an almost-3 year old and a just-turned 1 year old. But, being the over-achiever planner and organizer that I am, I’ve already gone overboard, as evidenced by my son’s 2-yr old party last year. A few months before his birthday, I hadn’t known more than a handful of toddlers. But, at 18 months we started him in a pre-school, and I started getting more involved in my neighborhood and other activities. So, all of the sudden his circle of friends ballooned, and our guest list topped 25 2-year olds. We filled The Little Gym’s party room to the brink between kids, parents, pizza, and cake. We gave out personalized (with a paint marker and my own hand) yellow plastic hard hats filled with construction-themed goodies and wrapped up in cellophane with a caution tape bow to all the kids. Jack got oodles of gifts that relieved Jim and I of toy-buying for several months as he had more than he could possibly play with. Everyone had a good time (I think and hope), and we have some great memories and a wonderful scrapbook to show for it (OK, the scrapbook needs a little work still, but it’s close!). But now as I contemplate this year’s party, I have to ask myself how I top last year’s. 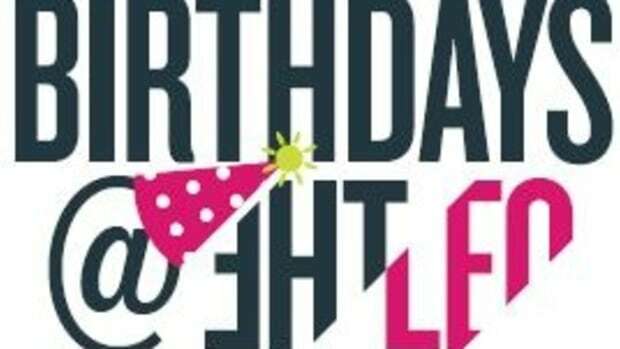 So, with this advice, other tips from Moms who’ve written in, and my own lessons and research for birthday party ideas, here are some essential planning tips I’m passing on to you. I’ve organized it into major sections: Invitees, Invitations, Theme, Party Ideas for Your Home, Party Facility Ideas, The Cake, Party Favors, Gifts, Thank You Notes. The first question in your planning process is going to be who to invite? I’ve read that it’s recommended to have no more friends than your kid is old in age (meaning for a 1 year old’s party, have 1 friend, 2 for a 2-yr old, etc.). I’ve decided that person giving that advice doesn’t live in the North Texas suburban area. Or, at least, doesn’t know any of my friends, or my friends’ friends. Because while I know lots of people who keep their 1-year old’s celebration a family affair, by age 2 and certainly by age 3, the majority of people I know invite more kids than the child’s age. Way more. Orders of magnitude more. Ultimately, the decision for how many children to invite will be limited to the number of children your pocketbook will stretch to accommodate and how many the birthday facility can hold. Do you need to send a formal invitation? I say: “No.” I am a big fan of www.evite.com, because it allows you to keep track of who you’ve invited, who’s coming, and creates a way for you to send messages out to the invitees as a group if details change regarding the event (e.g., reminders to rsvp, bad weather plans, reschedule needs, etc.). Also, while I don’t have physical address for some of the people I want to invite, I do have email addresses for everyone. They have great templates where all you need to do is fill in the details and send it out. Done. Oh, and did I mention FREE? The cutest one I have ever received was one that was handmade, possibly even with the help of the birthday child (sorry, Cristen, if you did these entirely alone). It was on plain red cardstock, with barn animal stickers on the front and a bow made of twine. The event was a petting zoo party on a farm that friends had recently purchased and caught the spirit of the party – and probably helped get a birthday girl very excited about having her friends over! My only advice here….follow your child’s lead. If they are a super-intense Dora or Diego fan, you may consider those themes. Again, a personal bias: choose something that lends itself to a little creativity. If you do a character theme, you are likely going to have a lot of pre-packaged party goods to choose from which will provide a lot of convenience for you in planning, although you will also possibly convey a “packaged” feel. 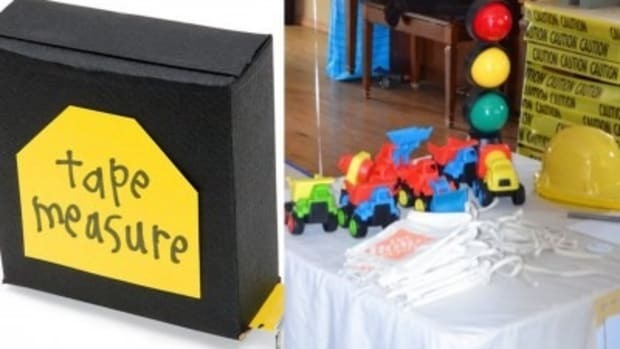 I admire the Moms who can come up with unique ways to carry their birthday party theme through in many different ways using a variety of products – like the twine bow on the petting zoo/barnyard party invitations, or the bucket used as a party favor holder for a pool birthday party another friend did. You could – gasp! – choose to go with no party theme, or at least go easy on the use of whatever character or subject you’ve chosen to highlight. For instance, it’s doubtful anyone will really notice if you use plain tableware versus a theme design. All kids and certainly most parents don’t care if the plate has a Batman on it – as long as it’s delivering a yummy piece of cake! To give you an idea of how much money you can save by choosing basic solids for tableware vs. a theme option, I checked Oriental Trading. Oriental Trading is the best source I’ve found for party goods, including tableware, decorations, party favors, etc. with the best pricing and selection. (But – just so you know – they are hit and miss on their scrapbooking supplies; I’ve bought great items from them and ones that aren’t so great.) A solid color dessert plate is $3.69 for 25, versus a Disney Princesses dessert plate which costs $2.99 for 8. That’s a savings of 65% – or almost 25 cents per plate. That may not sound like a lot, but when you consider savings on napkins, cups, and other party goods you might just pay for some of your party favors by going this route. 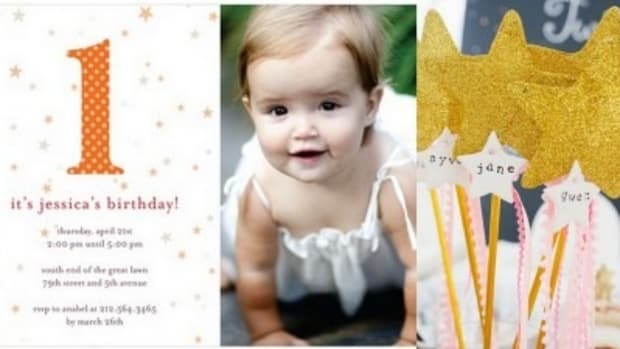 Other sites to look at for party goods are Celebrate Express and Birthday Direct, both of which offer a good balance of selection and price (and are where I bought the party favors for Jack’s party last year that I didn’t get from Oriental Trading). If you do choose to do a theme, you may want to check out Birthday in a Box, which offers exactly what the name implies — it allows you to purchase an entire theme pack for birthday parties (with a convenience premium in price, of course). Bounce House. For under $150, you can have a simple bounce house delivered to your home. This can entertain the kids for hours. There are also more elaborate bounce options you can rent – combo units (slide/bounce) and a new one I just found when doing Jack’s party planning called a 5-in-1 (2 bounce areas, climbing, sliding, obstacle course). Jump City is the vendor I’ve used several times in the past for various party’s; Lena is always reliable, on time, and very competitively priced. Petting Zoo. There are a lot of ranges in price on this, but for around $200 you can get a very nice petting zoo at your home up to more depending on if you want bigger animals (like a llama or donkey) or to offer pony rides. Cathy’s Critters is a woman-run business based in Collin County (Princeton); she is also reliable and on-time. (Don’t freak out if she doesn’t call and confirm or return your call to confirm – she will be there. I’ve panicked 3 times and each time she’s been there right on schedule.) She and her daughters have done a great job every time I’ve used them (I know friends who have, too). Scavenger Hunt. My neighbor did a cute pirate-themed scavenger hunt around the neighborhood for her son’s 5 yr party. The kids, dressed in pirate hats and eye patches, had a great time working in teams (with one adult supervising) to find all the hidden clues. This is an idea I plan to copy when my sons get older. Trackless Train. Kids love to ride on things and why wouldn’t they when you check out the awesome train available from Adventure Railroad! This train can be rented and will come to your location to carry children and adults around a large parking lot. “Traveling” Vendor. Many businesses will come to your home and put on your party. Abrakadoodle, for instance, will allow you to book a party and they bring everything you’ll need for your kids to make nice works of art. We even know a Mom who will come to your home to give your kids a tot-yoga class! I won’t begin to list all of the different party places you might consider for your party on this blog. (We will, however, have a directory of them on the website, www.MomsOutLoud.com, when it launches in October! With reviews from other Moms like you!) However, I will tell you some of my personal favorites based on personal experience and what other Moms have told me. But before you start your booking process, you’ll need to decide how much you care about having a “private” party space. This took me by surprise when we first started going to parties. I had naively assumed that all the birthday party places were private. Nope. 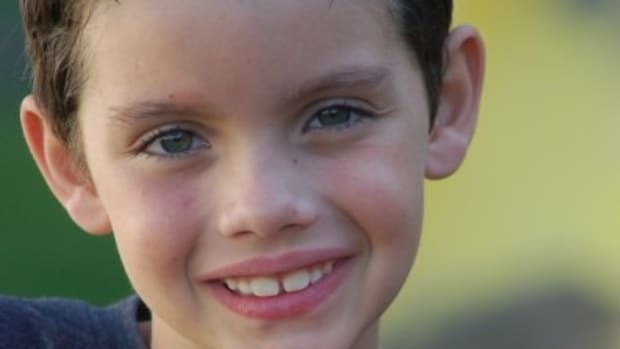 My suggestion is for little kids that will need adult supervision, go for the private party facilities, otherwise your guests and their parents will be so scattered around a big facility chasing the kids that you won’t get any adult interaction and your child won’t get as much friend interaction. 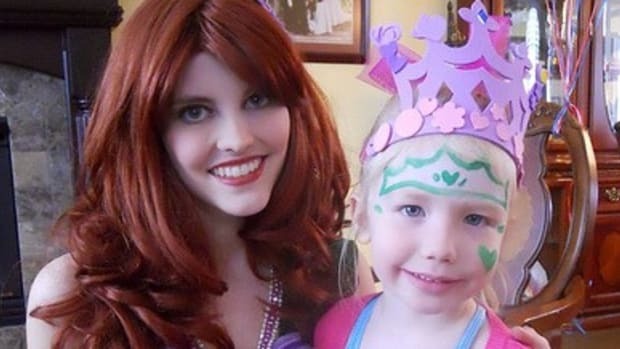 (And, maybe it’s just me, but birthday parties are a great way to connect with the parent’s of your children’s friends, so you don’t want to miss out on that!) You’d also be surprised….some of the private party areas are not any more expensive than the ones that rent to 4 or more birthday party groups at the same time. The Little Gym, My Gym, Kid Fit Sports, or one of the other gymnastics places. These are great options for little kids because the staff will take them through a mix of circle/group activities and independent exploration/play time. We have personally experienced the Plano (Preston/Spring Creek) Little Gym location and it was wonderful. Same for the My Gym location in Plano (Independence/Park). Pump It Up, Jr. We recently attended a 3 yr old’s birthday party here and both my sons had a wonderful time. The equipment is perfectly sized for a 3 yr old. Pump It Up is a great option for older kids, or for kids who are younger but around the same age so they aren’t intimidated by older kids when playing on bigger equipment. Both of these options give you private bouncing space and then move you to a private party room for pizza/cake. You feel a little like you’re playing musical chairs, but the kids have a blast. Adventure Kids Playcare. I planned a class party for my son’s pre-school party here and we had a great time. The kids kept themselves occupied in a contained area with a jungle gym, toys, basketball hoop area, etc. and the parents got caught up with some good chatting. It was actually a perfect venue for little kids if they are comfortable with each other and you want to be able to have some good socializing time with adults, too. When your kids are a bit older and the need for a private party place diminishes because they can enjoy the facility with little adult supervision or – what joy this will be! – you can drop them off for the party, you may consider these options: Going Bonkers (an indoor jungle gym/arcade place), Gattitown, or Amazing Jake’s. If you have a little girl you are either familiar or soon will be with the princess/rock star/glitter fashion birthday party craze. Sweet & Sassy and Butterfly Princess Glamour offers a variety of birthday party options that will make your daughter and her friends feel like princesses! These are just a few of the options in our area (again, our website will have a complete list ready for you Moms to review!). This one is easy: Costco. $17.99 for a 1/2 sheet cake that serves 48. Yummy yummy yummy. The only downfall is they don’t have a great decoration selection (however, balloons go with everything, right?!?) It’s a great cake that you will actually eat leftovers of when the party’s over. And at that price, you can’t beat it. You think you’re doling out the cash, right? Wrong. Party favors are a necessity in the birthday party world, so don’t let them be a surprise expense. They actually should be figured into your budget, and may even impact how many kids you invite. If you figure $3 or so per child (though I’ve seen some goody bags that had to be more) multiplied by 20 kids, that’s a substantial expense. A personal favorite that I love is when the goody “bag” is actually something that the child can use again – even better if it has their name on it. For example, at a pool party, we got a sand bucket with some sand toys and other goodies. We still use it in our own sandbox. 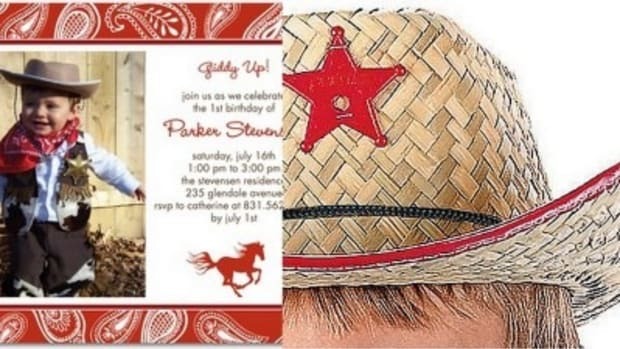 At the petting zoo party, we got straw western hats for the boys filled with goodies – which they still wear today. It’s a great way for the kids to remember the parties and their friends. A recent trend I’ve seen is parents specifying “no gift” for their children’s parties. I admire their conservatism and desire to shelter their kids from commercialism for as long as they can. However, I have to say I have not heeded such requests, though I have “snuck” the gift to the parents for opening at their discretion. My excuse? I like to have Jack (and soon, Luke) participate in the choosing and wrapping of the gifts, and writing of the cards, for their friends’ birthdays. I love to give gifts (and get them, of course) so I personally enjoy this part of the whole birthday party process. 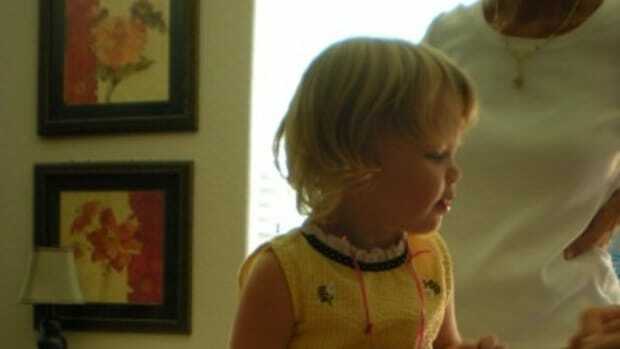 I think generosity is an important value to teach your children and believe the giving of gifts is a big part of that. First: you can give a thoughtful gift without spending a lot. My sister’s advice had been to spend about $15/child on a gift, which I did until I became the starving entrepreneur and reduced our family to one income (plus a lot of savings out the door). Now, I spend more time thinking ahead about what the birthday child will enjoy and how to come up with something less expensive and creative to give to them. Crafts that you can make personalized with the child’s name are a great option (kids love things with their names on them!). Second: consider donating some of the gifts your child receives to charity. I personally haven’t tried this, and actually don’t know anyone who has, but we’re going to try it for Jack’s 3rd birthday. We consistently go through closets and dressers, giving clothes away to charity (most, unfortunately are mine, as motherhood and the aging process have made some of my former clothes useless to me), so Jack is familiar with the idea. He’s even given some toys of his own up for charity at times. We’ll see how it goes when the toys are brand new and he hasn’t gotten to play with them yet! And, finally, when the party is over, the gifts unwrapped, the trash thrown out. . . there are thank you cards to write. It is an essential part of the entire birthday party cycle and good etiquette. A simple note is all you need to send. Want to personalize it even more? Get double prints of your party pictures and send one along as a momento of the party. Want to make sure your kids understand how important thank you’s are? Have them help with the cards. Crayon squiggles are OK (and kind of cute). That’s it! 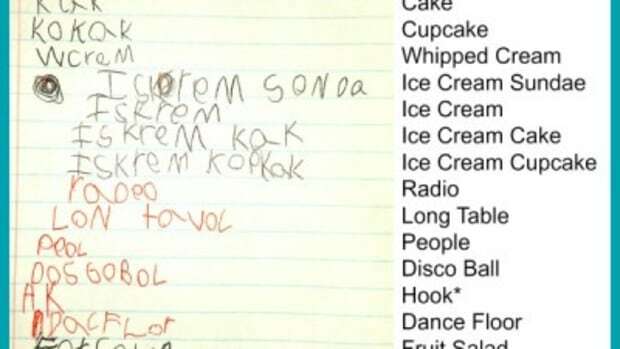 Everything we heard about Birthday Parties from our Moms. Hope it’s helped some of you (like me) who are getting ready for a birthday party soon!